THURSDAY, Jan. 11, 2018 (HealthDay News) — While your dog or cat might love the taste of raw meat, a steady diet of it might be a bad idea, a new study warns. 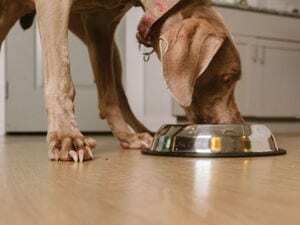 Raw meat diets for pets have become increasingly popular, but there is no evidence that they are healthier than typical pet foods, the researchers said. In fact, some studies have reported that raw meat diets may pose a threat to pets and their owners due to the potential presence of bacteria and parasites. To learn more about these risks, the Dutch researchers analyzed 35 commercial frozen raw meat diet products for pets that are widely available in the Netherlands. E. coli bacteria was found in eight products (23 percent), listeria bacteria was discovered in 15 products (43 percent) and salmonella was detected in seven products (20 percent). Eight products contained Sarcocystes parasites and two products (6 percent) contained Toxoplasma gondii parasites. The two types of Sarcocystes parasites found in the products do not affect people but pose a risk to farm animals. T. gondii can cause disease in people, the researchers said. The study was published Jan. 11 in the journal Vet Record. “Cats and dogs that eat raw meat diets are also more likely to become infected with antibiotic-resistant bacteria than animals on conventional diets, which could pose a serious risk to both animal health and public health,” lead researcher Paul Overgaauw, from Utrecht University, and colleagues said in a journal news release. Pet owners should be informed about the risks of feeding their pets raw meat diet products. They should be educated about proper handling of the products and personal hygiene measures, and the products should include warnings and handling instructions, the investigators said. The U.S. Food and Drug Administration has more on the dangers of raw pet food.